Italy is the biggest wine producer in the world. 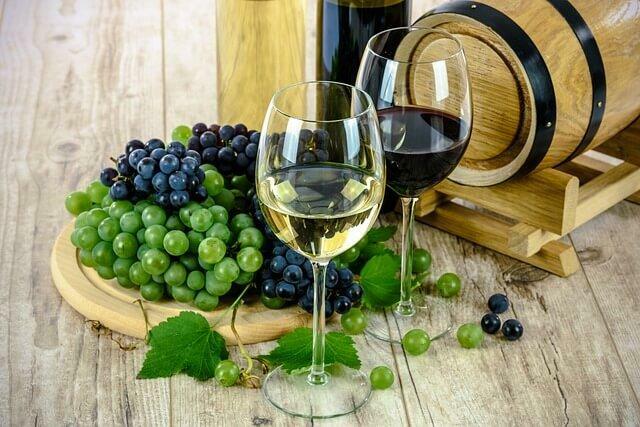 Although the country’s winemaking history dates back over 4,000 years it is only in the forty years that it has become wildly popular worldwide. Tuscany plays a very important role in Italy’s wine culture, both past and present. It is the second largest producing wine region in Italy, second only to Veneto, and has a wide variety of styles ranging from easy to drink, fruit forward wine, to ultra-premium Super Tuscans. For those interested in learning more about Tuscan wines, this article serves as an introduction to the famous and everchanging Italian wine region. Tuscany is famous for several things – beautiful art, architecture and culture of Florence and Siena, the beautiful countryside, and rolling hills and, of course, its food and wine. Situated in central Italy, Tuscany enjoys a warm, Mediterranean climate that allows producers to ripen grapes perfectly. High elevation hillside plantings, moreover, let the warm daytime temperatures cool down at night. This diurnal temperature variation helps the grapes maintain a balance of sugars, acidity and aromatics. Sangiovese is one variety that thrives on these hillside vineyards and is Tuscany’s signature red grape. Many people interchange the words “Tuscany” and “Chianti”. Not only is this incorrect, but the region’s wine landscape is far more complex and dynamic. The central core of Tuscany, where Chianti Classico is located, is based almost entirely on the noble Sangiovese grape. However, besides Chianti Classico, there are 7 sub-zones in the Chianti region including Chianti Colli Senesi and Chianti Rufina (which are the most famous out of the sub-zones) as well as Chianti Montalbano, Chianti Colli Fiorentini, Chianti Colli Aretini, Chianti Montespertoli and Chianti Colli Pisane. All sub-zones have a unique microclimate and produce different styles of wine from the Sangiovese grape. Further south, where the climate is warmer, are made Brunello di Montalcino and Vino Nobile di Montepulciano, wines that tend to have a fuller body with richer tannin structure. Further west, toward the Tuscan coast, a very different terroir emerges, and this is where “Super Tuscans” are often found, usually made by blending a little Sangiovese with non-native grapes such as Cabernet Sauvignon, Syrah and Merlot. These wines are some of the most prestigious in the world including famous labels such as Sassicaia, Solaia and Tignanello. Sangiovese is the king of Tuscan grapes. It is Italy’s most widely- planted variety with 55,000 hectares across the country and has a deep-rooted history. It is noted that the origin of Sangiovese dates the grape to the time of Roman winemaking. It was even theorized that the grape was first cultivated in Tuscany by the Etruscans from wild Viti’s vinifera vines. The literal translation of the grape’s name is the “blood of Jove”, refers to the Roman god Jupiter. Sangiovese thrives in its native terroirs and microclimates. It is used as the main component of many great Tuscan wines such as Chianti, Brunello di Montalcino and Vino Nobile di Montepulciano. Sangiovese produces a dry, medium-bodied wine with structural characteristics of higher acidity and tannins, making it very food friendly. Its profile can range from rustic to fruity and is rich in flavours such as Morello cherries, strawberries, earthy herbs, violets and peppery tones. Sangiovese based wines pair perfectly with pastas with tomato-based sauces or even a variety of antipasti, mild cheeses and charcuterie. In the 1970s and ’80s there was a burst of innovation by winemakers throughout Italy frustrated that their wine laws codified mediocrity. This new wave brought production of superior wines to the market, some made with 100% Sangiovese or even outlawed French varieties like Cabernet Sauvignon, Syrah and Merlot. These wines were named “Super Tuscans” because they were outside of the Tuscan wine regulations, but they garnered tremendous international attention and demand due to their superb quality and aging potential. Despite the extraordinary interest in Super Tuscans, these wines fell into the lowest category in the appellation, Vino da Tavola or table wine, and ironically did not even qualify for export to certain countries because they were not considered “quality wines”. 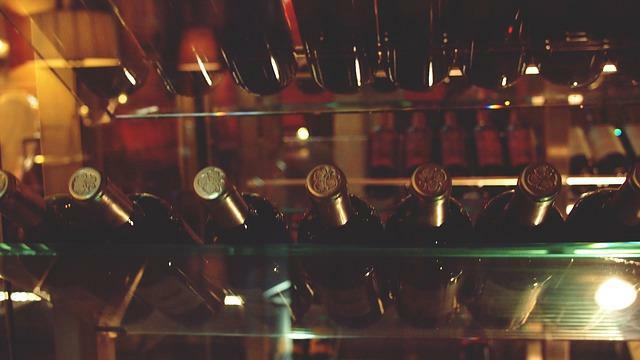 The same held for famous brands such as Sassicaia, Solaia and Tignanello. These wines tend to be powerful and have a great aging ability. Pairing these wines with more robust food such as Bistecca Fiorentina would make for a delicious feast. There are 3 main indigenous white grapes to make note of in Tuscany: Vernaccia di San Gimignano, Trebbiano Toscana and Malvasia, though Chardonnay, ubiquitous throughout the world, is found in Tuscany as well. Trebbiano Toscana is the workhorse white variety of Italy and produces simple still wines as well as delicious Vin Santo dessert wines. Vernaccia grows beautifully in the area of San Gimignano, where it produces fresh, crisp wines that pair with simple Mediterranean foods. Malvasia (a name used loosely for a range of usually relatively ancient grape varieties) is native to Madeira and the Canary Islands but now produced mostly in Italy. Malvasia is commonly blended with Trebbiano Toscana in a wide range of Tuscan and Central Italian whites to give Trebianno Toscana some body and richness. It tends to be a deeply coloured, which can oxidize easily but has a nutty and/or honeyed character, sometimes with notes of orange peel and dried fruits, but can be found in fresh, bright examples as well. Finding some great examples of Tuscan wines in Ontario beyond Chianti Classico is easy, but sometimes it might be necessary to look beyond the LCBO retail shelf. Also, consider that the producer is important — not all producers are equal. An example of a perfectly made Chianti Classico from a premium producer is the Castello di Verrazzano Chianti Classico rich in fruity aromas of cherry and blackberry, well mixed with flowery notes of red rose and violets with a savoury finish. The Castello di Verrazzano Chianti Classico Reserva and Gran Selezione are must buys for those looking for a wine for a special occasion. It is hard to find Chianti Rufina wines in Ontario, as Rufina is the smallest sub-zone in Chianti. Unique due to its elevation, it produces elegant and age-worthy Sangiovese. One of the most highly regarded producers in Rufina is Colognole, with the family having noble roots and a passion and dedication for winemaking. Try the Colognole Chianti Rufina or the Colognole Chianti Rufina “Reserva del Don”. If you are craving a wine richer and deeper in flavour and tannin, perhaps the famous and iconic is the Biondi Santi family of wines. Both the Biondi Santi Braccale IGT Maremma (20% Merlot, 80% Sangiovese) or the Biondi Santi – Sassoalloro IGT Toscana (100% Sangiovese Grosso) that got a 90 pt Robert Parker score are treats at any Italian dinner feast. Finally, no recommendations on wines of Tuscany would be complete without one from Montalcino. The Armilla Brunello di Montalcino is from the smallest producer of Brunello. Just 500 cases of wine are made a year. We are fortunate that owner Nicola Giannetti likes Ontario. He gives us almost half of his production annually!